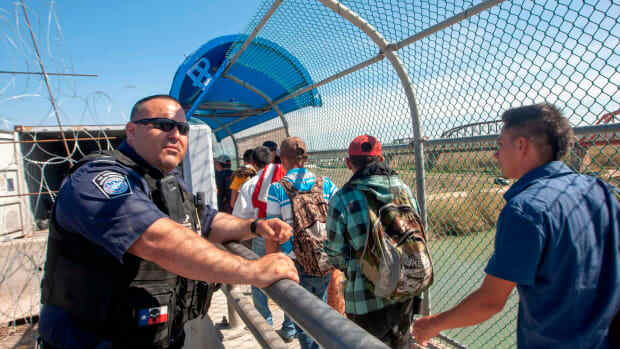 Central American asylum seekers wait as U.S. Border Patrol agents take them into custody on June 12th, 2018, near McAllen, Texas. 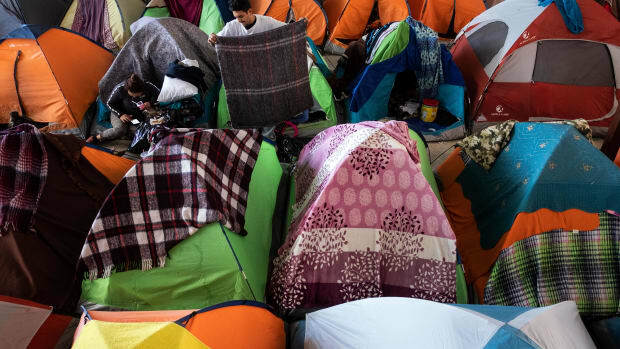 On Tuesday, reports surfaced that both Immigration and Customs Enforcement and Customs and Border Protection will begin releasing hundreds of migrant families every day at the southern border in Texas. As the news broke, some publications opted to use President Donald Trump&apos;s favored term to describe the new policy: "catch and release." The decision to release migrant families is the result of two realities: Family detention centers have become overcrowded, and, legally, the government is not allowed to keep unaccompanied minors or families with children in detention for more than 20 days. Trump has long lambasted the aspects of United States immigration policy that let immigrants wait out their court proceedings outside of prison. "Border Patrol Agents are not allowed to properly do their job at the Border because of ridiculous liberal (Democrat) laws like Catch & Release," he tweeted last April. 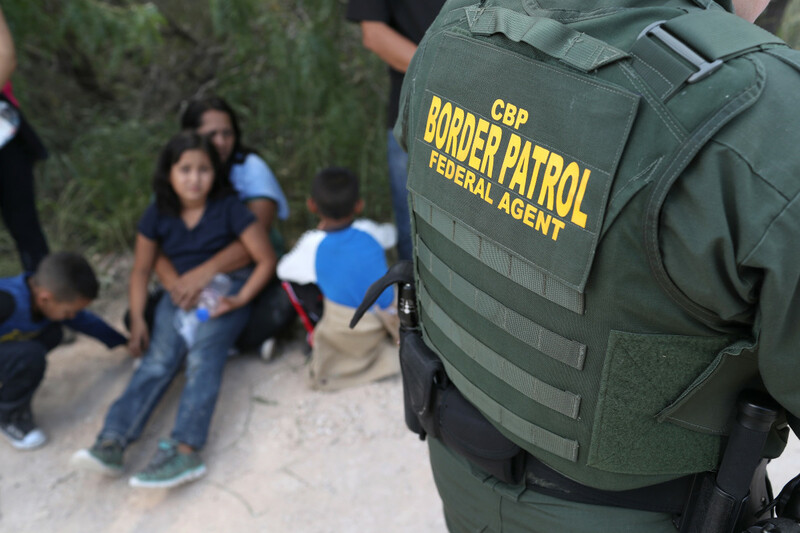 Advocates warn, however, that calling this regulation "catch and release" is both misleading and dehumanizing, and obscures that fact that the practice exists to ensure the basic human rights of children. Here&apos;s what you need to know in order to understand what Trump means when he says "catch and release" and the controversy around the term. Why Can&apos;t the Government Detain Migrant Families and Children Indefinitely? While Trump blames Democrats in Congress for what he calls "catch and release," the policy actually originated with the judicial branch, as a result of a court settlement that is now more than two decades old. In the 1980s, advocates began to challenge the government&apos;s practice of keeping child migrants in detention indefinitely. After more than a decade of litigation, the lawsuits culminated in one of the most consequential aspects of U.S. immigration policy: the Flores Settlement Agreement. Decided in 1997, the Flores agreement placed a legal 20-day limit on unaccompanied children remaining in detention (along with other regulations assuring children&apos;s safety). When the Obama administration attempted to detain children with their families for indefinite periods of time, courts ruled that, even when they&apos;re with their parents, children still cannot be detained for more than 20 days. 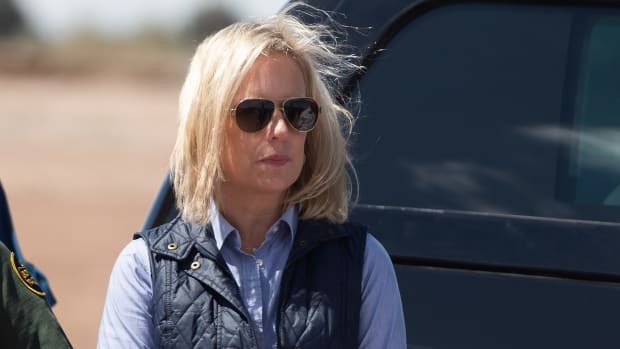 While the Flores settlement is rooted in the defense of migrant children&apos;s human rights, Trump and his allies believe that the settlement has effectively become a sort of get-out-of-jail-free card for migrants who arrive on the southern border as families. When Trump took office in 2017, he immediately began to look at ways to ensure that immigrants were detained indefinitely, as a way to deter both illegal immigration and asylum seeking (though asking for asylum is a legal right, asylum seekers are often detained during their court proceedings). 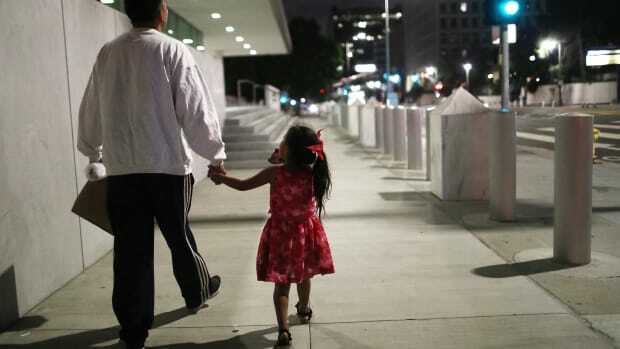 In April of 2018, the Trump administration found a way to get around the Flores settlement, with what it called its "zero-tolerance" policy: To keep parents in detention indefinitely, the government would first separate them from their children. But when reports began to circulate describing children, sometimes infants, begin ripped out of their parents&apos; arms, the zero tolerance policy turned into the highly publicized family separation crisis. Facing public outrage, Trump rescinded the policy in June, by which point thousands of children had already been separated from their parents. Is Flores a Loophole, or a Necessary Defense of Human Rights? After his administration was forced to abandon its zero-tolerance policy, Trump continued to attack the 20-day Flores limit, referring to it as "the disgraceful practice known as catch and release." Since ending family separation, he has called on Democrats in Congress to "close these loopholes" and allow his administration to detain families indefinitely. However, advocates warn that "loophole" might not be the right word to describe the Flores agreement. "For politicians to call legal protections for children &apos;loopholes&apos;—just the use of the term &apos;loophole&apos; tells you everything want to know," says Bill Holston, the executive director of the Human Rights Initiative of North Texas. "It&apos;s a rhetorical device that&apos;s intended to criticize a right. And that right exists for a reason. These rules don&apos;t exist in a vacuum—they exist because it is harmful for children to put them in detention." Is &apos;Catch and Release&apos; Accurate? And Could the Term Be Offensive? While Flores does mean that, in general, migrant families are let out detention after 20 days, that does not exactly mean they are released. The families do not simply get to live in the U.S., but instead remain in the legal system, awaiting court dates. The American Civil Liberties Union has argued that the use of the term "released" is inaccurate. As Stacy Sullivan, deputy director of editorial and strategic communications for the ACLU, explained in a blog post: "They are not freed, but tethered, always by law, often by more: Sometimes the asylum-seeker must wear an ankle monitor. Sometimes she must pay a bond. Sometimes the tether is administrative: checking in regularly with immigration officials." 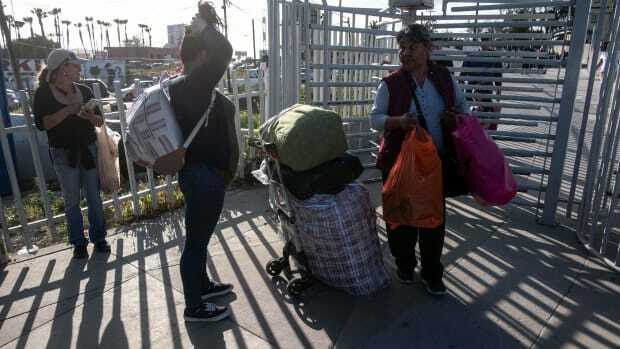 Trump has argued that, even though immigrants are let out of detention with instructions to return for court dates, the release enables them to escape into the country and simply miss their court dates. Trump has claimed that only 3 percent of immigrants make their court dates—but the numbers do not back this up. In fact, data reveals that the overwhelming majority (about 75 percent) of immigrants make their court dates. This includes people waiting for deportation proceedings and asylum cases. 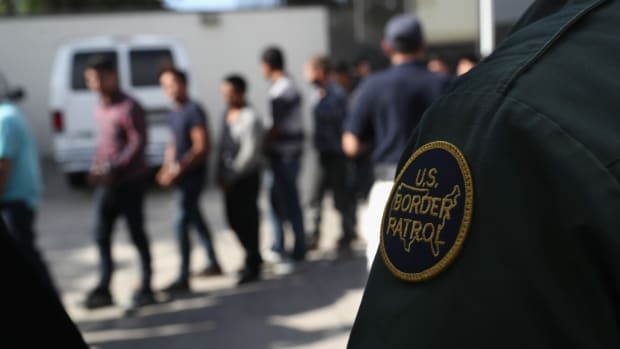 And as Madhuri Grewal, federal immigration policy counsel for the ACLU, explains, many immigrants do not make their court dates because the government has made a mistake: There are many cases of immigrants being released with incorrect court dates or addresses. Grewal believes that the most effective and humane way to ensure families make their court dates is not detention or even ankle bracelets (which she calls restrictive), but instead "community-based alternatives": Connecting an individual with local non-profits, legal services, and other resources, Grewal explains, makes them much more likely to show up. In 2017, Trump ended the White House&apos;s "Family Case Management Program," which, instead of detention, matched 1,000 asylum-seeking families with social workers. Over 99 percent of people in the program complied with their court instructions. Besides the inaccuracy of the phrase "catch and release," some object to its usage because of how it subtly relates migrants to animals: The term comes from recreational fishing, when a catch is set back into the water. "[P]eople are not fish, and using a phrase, even one with the valence of a humane practice, serves to dehumanize the human beings being led away in handcuffs," Sullivan wrote.